…While the game dates back to B.C. 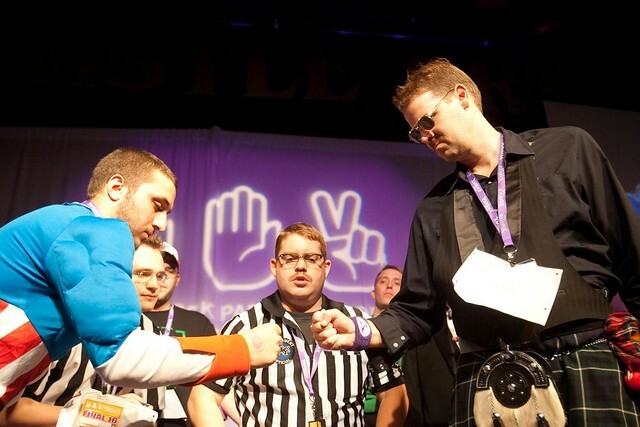 times and clubs of serious Rock Paper Scissors (RPS) players have existed quietly for decades, a tournament in 2002 launched RPS on its path to being a sport that could compete with Darts, Poker, and Scrabble for ESPN airtime. 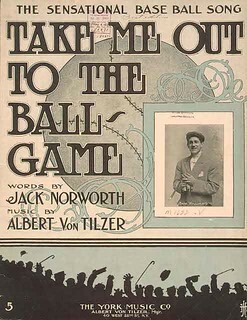 As we prepare to throw down, we might recall that it was on this date in 1908 that “Take Me Out To The Ball Game” was copyrighted by Albert Von Tilzer‘s York Music Company. Vaudevillian Jack Norworth (who wrote over 2,500 songs during his career, including “Shine On, Harvest Moon”) had scribbled the lyrics on scraps of paper during a subway ride; Von Tilzer added the music. Neither man had ever attended a baseball game. Nonetheless, their tune (with lyrics revised by Norworth in 1927) has become the unofficial anthem of North American baseball, traditionally sung during the the seventh inning stretch.